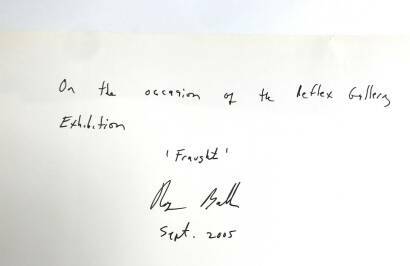 Comments: Softcover, signed in 2005 on the occasion of the reflex gallery exhibition. In good condition. 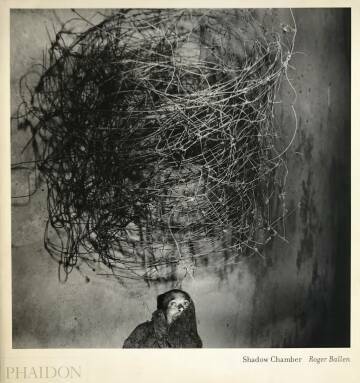 World-renowned and award-winning photographer Roger Ballen explores in Shadow Chamber the underbelly or the “shadow chamber” of existence. He takes major leaps forward into a metaphoric dimension with multiple conscious and subconscious meaning. He does this in an, as yet unseen, and entirely unique way. 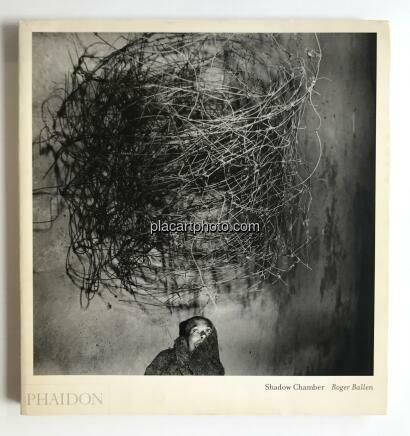 With Shadow Chamber he creates a way of seeing that makes an important and historic contribution to art photography. 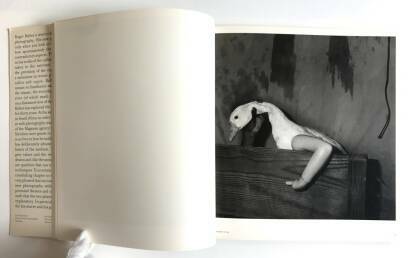 His photographs are striking, ambiguous images of people, animals and objects posed in mysterious, cell-like rooms that occupy the grey area between fact and fiction, blurring the boundaries between documentary photography and art forms such as painting, theatre and sculpture. 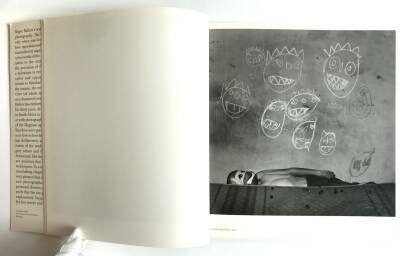 The results are completely abstract and not defined by the origins or specific location of the characters he photographs. Ballen focuses on the interactions between the people, animals and objects that inhabit mysterious rooms – the shadow chamber. 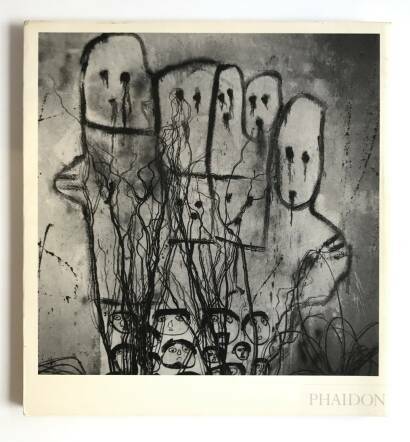 The rooms are unsettling and strange: their walls are covered with scribbled drawings, stains and dangling wires, the floors are strewn with bizarre props and artefacts. 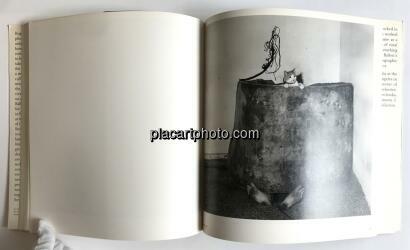 Dogs, rabbits and kittens wander into the frame or are stuffed into unlikely containers. Figures hide away in boxes, crouch behind overstuffed sofas and squat with their shirts pulled over their heads. 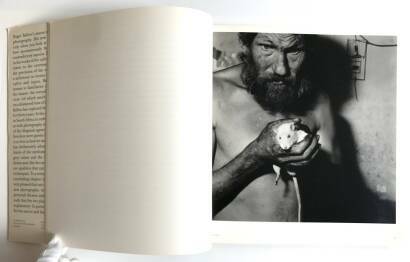 The humans and animals in Ballen’s photographs appear isolated, estranged and lost, yet strangely empowered at the same time. 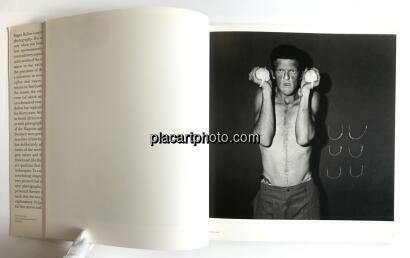 The resulting images are surreal and intriguing, and powerful disturbing psychological studies.